I work in the commercial real estate space, at a swiftly-growing business that regularly launches new physical properties/businesses. As the marketing executive, I’m always thinking about the most effective go-to-market strategy for new stores. Today’s post is meant to offer a checklist for anyone else in the same situation. Have a new store coming opening and figuring out how to launch with the most impactful results possible? Let’s explore the best marketing channels for your go-to-market strategy. Before we explore the marketing channels, let’s first figure out our foundational strategy. Start building your website, landing pages, and offer strategy well in advance of your new business launch. If you have a store opening, I like to have my website ready a few months early. Even if the store is not open, you can start "pre heating" the market with some pre-opening promotion. Why not gain customers before you store even opens? Whether you are building a new website or adding a new section on an existing website, make sure to notify your relevant team members and/or technology partners very early. Get on their calendar immediately. Consider taking photos and videos of your store in progress. Even if your store has not opened, you could share with consumers the future site and construction progress on your website. Consider a very strong offer for early birds. Include a lead form on your website and start collecting names and emails addresses. When your store is getting ready to open, send an email to your list. 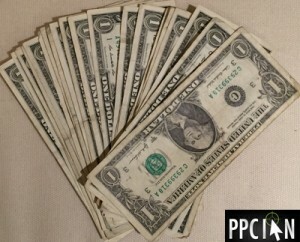 Now that your website is ready, I suggest starting with PPC, the best marketing channel for your go-to-market project. Where do consumers go when they are looking for anything? The go to a search engine, such as Google. Where do consumers look on search engines? Do they go to page 2, 3, or 4? No, they look at the first few results on the first page of Google. Search Engine Optimization (SEO) can take time. With a new store, you may not rank very well in the organic search results. This is where PPC comes into the picture. Paid search, the paid results on Google and other search engines, allows you to immediately market your store at the top of page 1 of the search results. If you’re operating a physical business, make sure to opt into mobile. Mobile is critical for brick and mortar businesses. Take advantage of geo targeting. Only show up in the geo(s) that apply to your new business. Bid high. It’s important to start a new campaign with strength. I typically recommend showing up in the first few positions, especially when a campaign is brand new. Start with exact match to make sure you’re targeting the exact queries you’d like. As part of your paid digital strategy, consider launching paid social media campaigns. Since paid social does not typically convert as well as paid search (higher in the marketing funnel), I typically start with paid search and then work on paid social as time and budget permit. 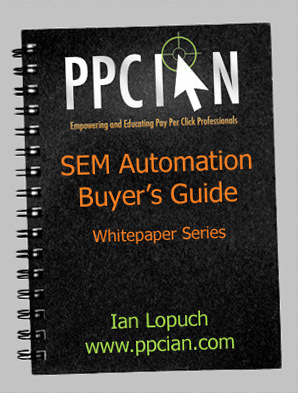 PPC costs money, sometimes a lot. I like to get as much leverage on my media spend as possible. This is where Retargeting enters the picture. Consider adding retargeting pixels to your landing pages and website. Once a consumer has reached your website via PPC, they may choose to leave. Leverage retargeting to share a special offer or coupon with your new prospect. With programmatic CPMs often in the $2 and $3 range, retargeting becomes a low cost way to increase the yield of your PPC campaigns. Install Google Analytics on your new website. Set up Retargeting Lists within Google Analytics and link to your Google AdWords account. This is a really easy way to leverage free Google products to easily set up retargeting on your own. Don’t have any time? 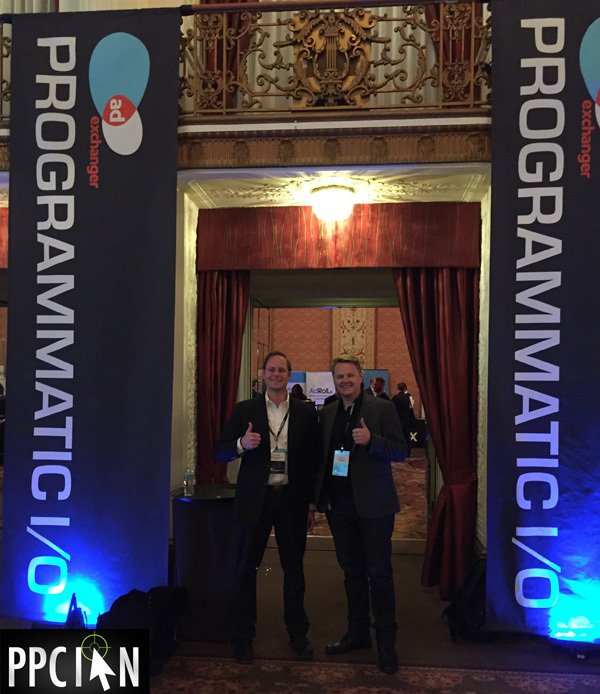 Consider working with a programmatic retargeting partner or platform. Some of my favorites are both sponsors of this blog: Acquisio and Kenshoo. What does this old world marketing channel have to do with your business? A whole lot! Direct mail has come a long way. These days, you can target direct mail just as you would online marketing channels. Want to target specific life events? You can do that. Want to target specific age groups? You can do that too. Want to target consumers in a certain radius of your store? Easy! When launching new stores, direct mail postcards with a special coupon offer can work very well, especially when you take a data-drive approach. Don’t know where to start in the world of direct mail? I suggest starting with Bantu Direct, a PPC Ian sponsor. Consider first class mail since second class delivery dates are less predictable. While more expensive, first class mail ensures your mailers reach consumers in advance of your store opening. Consider 6×9 postcards to make a true impact. While 4×6 postcards are more cost effective, 6×9 convert better since they really stand out in the consumer’s physical mailbox. Opt for higher quality cardstock to make the best possible impact. While my name may be PPC Ian, my love for non-digital channels has grown exponentially over the years. Why? Offline marketing offers enormous scale and many of the efficiencies and conveniences of digital. Consider some hyper local radio to create awareness for your new store. Radio is super for awareness, direct response, and amplifying everything you are doing with your new store. Consider local, terrestrial radio for a locally-targeted campaign. Work with an amazing agency like Oxford Road to get on the local radio stations and shows that your consumers care about. With limited time in launching your new store, work with a partner/agency that can truly help with your creative strategy. Don’t only run ads on local, terrestrial radio. Also consider a "DJ Reads" strategy where local DJs, that your consumers love, actually share your brand with their audience. Make your call to action (CTA) a phone call, if possible. Set up a unique phone number and have someone ready to answer and provide info. Also consider a text message CTA. You can’t really tap into the power of PR any old day. PR revolves around big events. Opening a new store is a huge event. This is one of your best chances to flex the power of the PR channel. PR will drive your long-term SEO efforts. While SEO will not likely help too much for your store launch (more on this later), SEO is one of the most important investments you will ever make. PR is, in my opinion, the best way to build quality citations and links to your brand. Search Engine Optimization / Content Marketing: This free media channel (other than time and resources invested) is one of my favorites. Great SEO takes time, energy, and thought, not only to complete the work required (generating content) but also enjoying the benefits (Google does not rank new websites/businesses overnight). During your store launch, start generating ideas for content and capture photos and videos. However, you can afford to postpone the bulk of the work until your store is physically open. Delaying your SEO a few months will allow you to focus on the channels that drive immediate impact, without having material impact on the long term of your organic search. Organic Social Media: Before your store launches, make sure to reserve your social media handles. Moreover, make sure to integrate social media into your website. However, the day-to-day management of organic social media can wait. In my experience, organic social media is a bit like SEO. It takes time to scale. When the results start flowing in, they can become exponential in nature. TV: This channel offers true scale and power. At the same time, a great TV strategy takes time and effort. The best TV campaigns rely on a team that already has extensive knowledge of a stable, operating business. Because your store is brand new, I suggest waiting a few weeks (or months) after launch to make sure everything is going smoothly before tapping into the scale of TV. Is personalization towards the top of your 2016 marketing strategy? Do you have a little extra time to read a ~3,000 word post that will take your segmentation and personalization strategy to the next level? I just wrote a guest blog post over at the incomparable Acquisio blog that is sure to help! I’m thrilled to share with you one of my longest blog posts ever, my 7 Marketing Personalization Tips That Will Launch Your Campaigns Into Hyper-Drive. Packed with actionable insights and even a custom segmentation map, I’m really proud of my latest guest blog post. Please head on over to Acquisio to check out my post and let me know what you think! I hope my suggestions take your marketing strategy to new heights. 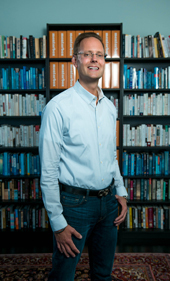 How do you build a great brand in 2016? Is it all about that fancy tag line? Is it all about huge TV media buys? Is it all about maximum retargeting impressions? While all of the above help tremendously (especially Retargeting), I’m here to argue that the core of any great brand in 2016 is your customer care (which is your customer experience). The Internet has truly transformed the way we buy products and services. What’s the first thing we do before buying anything? We go straight to the reviews on Amazon, Yelp, Trustpilot, ResellerRatings, and other review sites. We absorb the thoughts and opinions of our peers. Why trust marketing collateral from big corporations when we can go straight to the end users, people like us? Here’s where things get interesting… What do people review? A tremendous portion of the time people review their experiences (both good and bad) with a brand. How does an experience with a brand manifest? It really boils down to the consumer’s experience with that brand’s customer care team, the face of the brand. Hence, the title of this blog post: Your customer care is your brand. Marketing in 2016 is more interdisciplinary than ever. The best marketers are spending a huge amount of their time collaborating with their customer care teams. Without customer care, your marketing will get left behind. All of this leads me to my latest guest blog post on the incomparable 3Q Digital blog: Growth Marketing Tips Through Your Customer Care Team. In my guest post, I highlight exactly how you can elevate your brand and marketing results through direct collaboration with your sales and support agents. My post offers practical and actionable tips. Want a micro example of what I’m talking about and how such a strategy could integrate directly with a powerful channel like Retargeting (also known as Remarketing)? 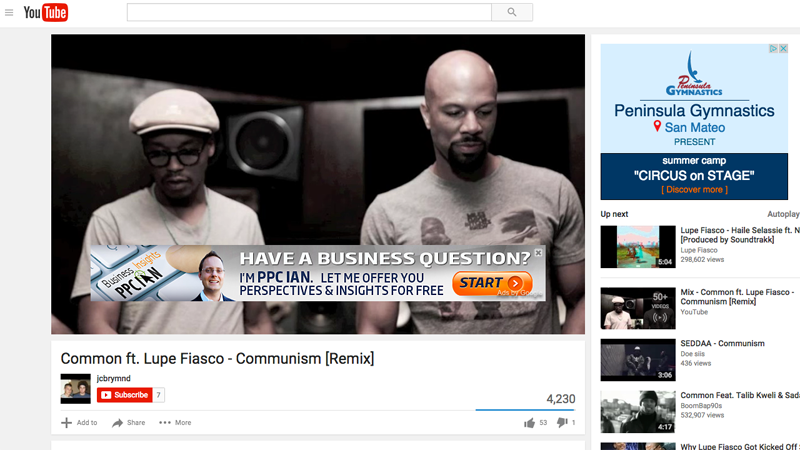 Check out the screenshot below, featuring one of my own retargeting banners on one of my favorite YouTube rap songs. Since PPC Ian is a one-person operation, I am the customer care. Customer care has manifested itself as the purpose of my brand and is injected into my marketing collateral. I realize this is a really small example, but I just had to share because I love rap music and thought it was a fun example. It’s time: Reach out to your customer care team immediately and start collaborating. And, don’t forget to check out my Growth Marketing Tips Through Your Customer Care Team. 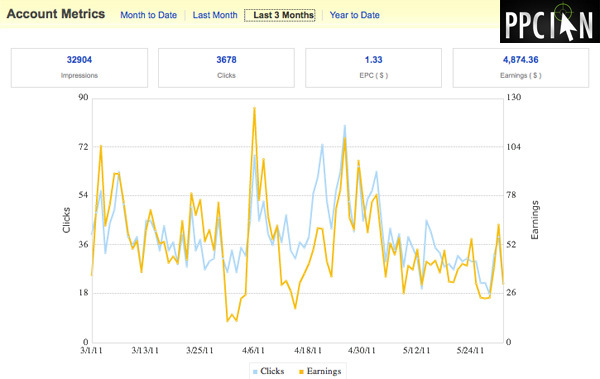 When I started in digital marketing, I ran one channel, paid search. Each channel operated in its own silo, with different creative strategies. That’s when things were just getting started. These days, marketing has evolved towards a consumer-centric approach, with all channels working together in unison. And, I’m not just talking about marketing channels here. I’m talking about any potential touchpoint with the consumer, including your customer care center and also your website itself. Every single impression a consumer has with your brand needs to be managed in tandem, for a truly personalized and consistent experience. Why? We want to add the most possible value to each and every consumer, with the most personally relevant experience possible. How is all of this possible? What is the hub of this strategy, the brains that dictates which creative, experience, messaging to deliver to each consumer? The hub is your segmentation, arguably the most important part of your modern marketing strategy. Today, I wanted to provide a few tips on how you can build the best possible segmentation strategy, based on engagement with your brand. Do you already get a reasonable amount of traffic to your website? Do you have existing customers (or at least prospective customers)? Then, you have first party data! First party data is all of the data that you have on your consumers from their interaction with your website and your brand. Traditional marketing segmentations are based on generalized market data. Traditional segmentations are very important, especially when projecting your overall market strategy. That said, this post is all about consumer experience, delivering a unified experience across all touch points. For this purpose, your first party data is golden. Pixel your entire website. Don’t only pixel user flow, but also behavior/interaction with your website. (That said, never pixel anything that is sensitive/PII (personally identifiable information). Pixel your display advertisements. If your display advertisements are interactive (I recommend you make them so), track the selections consumers make when interacting with your creative. Pixel your full HTML emails. Leverage a unified technology to power everything. Your first party data is only as powerful as your ability to house it and segment upon it in a unified technology hub. Some examples are SteelHouse, Kenshoo, and Acquisio. User arrives at your site from Google AdWords. User lands on the mens shoes section because he selects "Mens Shoes" from your Google AdWords sitelinks. 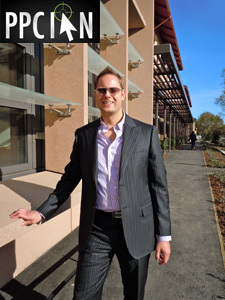 User specifically browses dress shoes (as compared to athletic shoes, casual shoes, and sandals). User adds dress shoes to cart: Size 13 Hugo Boss in black leather. You know so much about this consumer from your first party data. Every detail written in the list above becomes core to your engagement segmentation. From a marketing standpoint, it’s a wonderful time to start retargeting this consumer with ads about mens designer dress shoes, potentially even showing the exact Hugo Boss shoes in the cart. Since the consumer entered the shoes into their cart but abandoned the process, maybe they have questions, or maybe they got sticker shock? Consider running display ads with your customer care phone number, and others with a coupon code. When the consumer comes back to your site (either by clicking your display banner or some other means), the website needs to adapt to display mens shoes and their specific cart. Lock myself in a conference room. Brainstorm on big sheets of paper, which I place on the wall. Get a rough draft on paper. Build out my final engagement segmentation in Lucidchart. This work that should take you at least an entire week of continuous effort, uninterrupted by meetings. Once your segmentation is built, you need creative mapped against each segment for each and every channel (or consumer touch point). This work can get really overwhelming, so consider starting with your most important segments, having a "catch all" for your other segments. Here’s where you need to take the segmentation and evangelize with your greater organization, because you will need all the help you can get in building the marketing copy, display banners, phone scripts, email templates, and landing pages. Leverage a divide and conquer approach. That said, there needs to be a central owner for consistency. When you first test out this engagement-based personalization, it’s ok to be scrappy and nimble. However, as you evolve, I highly recommend a technology-driven approach. There are so many technologies that can help you, and it’s all about finding the one that works best for you. As mentioned above, SteelHouse, Kenshoo, and Acquisio are incredible. I’d like to end today with an important piece of advice: It’s ok to keep your creative a level or two higher than the actual intelligence you have about your consumers. You don’t want to create an experience so personalized that it becomes creepy. It’s ok to ignore certain pieces of data in crafting your creative approach. Make sure to test your strategy on normal people (non-marketers) before rolling it out. Be cautious, and always place the consumer’s needs first. The longer I’m around, the more and more I realize it’s all about the people. And, there are few better companies in terms of people than Acquisio, the performance media platform of choice for agencies. Case in point: Acquisio Gives Back by raising over $37,000 for the kids. I have been friends with the Acquisio team for a number of years. I’m always looking for opportunities to share my perspective on digital marketing blogs other than my own. It’s a ton of fun to write for new audiences and extend my reach. When the opportunity presented itself to contribute to the amazing Acquisio blog, I thought I’d write a piece related to the holiday shopping season, and really any business that faces dramatic seasonality. 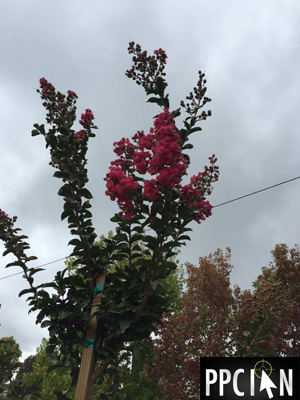 Do you work for a company that has seasonal highs and lows? Are there times of the year where you do all of your business, and other times of the year where things are really slow? Are there times of the year where conversion rates are great, and other times where conversion rates are low? These types of businesses tend to lend themselves to start/stop cycles in terms of digital marketing. I’m talking about pausing and unpausing accounts and campaigns. My guest post is catered to these types of businesses. It’s all about Reactivating Dormant SEM Accounts. 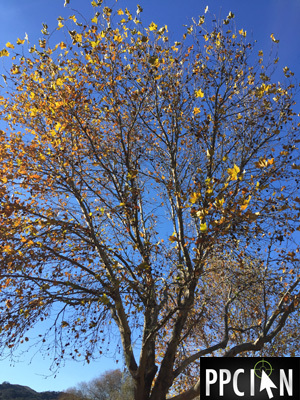 In addition to reactivation tips, I also include tips for safely "pausing" accounts during times of seasonal lows. Pausing/unpausing is one of the riskiest activities in Search. However, I’ve become a pro over the years, and sincerely hope my tips help out. Head on over to Acquisio today and check out my guest post. I hope it’s helpful and wish you an amazing holiday season! The Holiday Shopping season is upon us! In my opinion, it’s one of the best times ever to run new tests in Marketing. Running and measuring tests requires a massive amount of data to arrive at statistical significance. There will never be more data available than during your company’s busy season (which happens to be Q4 for many businesses, especially those in retail). Today, I wanted to share some high level tips and frameworks as you explore your own testing strategy. Never stop dreaming up new ideas. As performance marketers, I view each of us as "Mini CEOs". There are few disciplines as multi-disciplinary as digital marketing, and you are truly in the driver’s seat to create change and drive results for your overall company. No test is too crazy. No idea is wrong. In fact, I encourage testing just about anything. Even ideas that are seemingly strange or bad may work. Stay creative! Treat each test as a new business. Get disciplined about it. In the world of digital marketing, we work with large budgets. The money at stake is meaningful and should be treated as your own. Approach each new marketing test with a complete business plan. Include an overview of the test, who will run it, how much money will be invested, what success will look like, an overview of plan b and plan c (in case plan a doesn’t work), and more. The business plan will inspire confidence in your management team. And, it will serve as a guide to those running the test. Think of it as Marketing’s equivalent of the PRD. Create a calendar and script your entire busy season. You can only run so many tests at once. Prioritize the most important ones. Set specific dates that correspond with timeframes set forth in your business plan. Don’t know all of the tests you will be running? That’s ok, some of the best tests are impromptu and will be inspired by events that unfold in your market. Set time aside for new tests. Collaborate with search engines and other partners. Some of the best tests are bigger than your company. 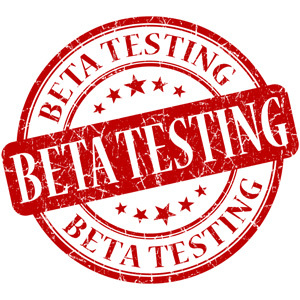 Become a great beta testing partner. Participate in case studies. Allocate time and resources towards developing cutting edge technologies with others. Don’t overlook offline marketing channels and other new channels. Are you primarily a digital marketer? Does your company avoid offline marketing? Challenge the norm. You’d be surprised that many of the characteristics that make you an excellent digital marketer will make you an excellent offline marketer. Pay attention to all those emails and phone calls that come through. If you’re like me, you probably receive tons of new opportunities each week. I’m always being approached with new opportunities and have a tough time managing the level of emails. Of course, you can’t look at all of them, but try to pay attention to the biggest opportunities. Set aside a separate budget, one that’s outside your team’s goals. Testing can be expensive. Even the most promising new ideas can be expensive in their earliest days. Carve out a separate testing budget from your bread and butter campaigns. Without this separate budget, teams are rarely incentivized to test since tests will typically raise overall CPA. Realize that you and your team will be working longer hours during times of increased testing. Testing is super fun, and it’s a very motivating exercise. However, it definitely requires some extra time and attention. Again, it’s all about treating your company’s test budget as if it’s your own. Make sure every single penny is spent wisely. Make sure proper measurement is in place. Collaborate with you Analytics Team. Never start a new test unless you are able to clearly measure and communicate its effectiveness. Testing is a complete waste if you cannot measure. Consider tests that span different pillars of your overall Marketing program. Testing drives innovation, and you want all areas of your Marketing program to progress. Make sure to test across: ad copy, landing pages, bidding, beta features, targeting and segmentation, media channels and programs, and more. Every person on your team likely owns a portfolio of programs. Challenge each person to drive tests across each of their programs. Document everything and delight in the process. Testing is so much fun! This is your time to shine. Make sure to present your results to everyone! This final tip won’t help as much this year, but will certainly help going forward… Make sure to plan and do as much prep work as possible ahead of time. Build the landing pages, build the banners, get legal approval all well ahead of time. When things get busy, I like to focus on execution, and it’s always so great to have all the background work done well ahead of time. Do you work in a highly seasonal business where it’s all about the holidays? How about one that has nothing to do with the holidays? Regardless of which bucket you fall into, there is so much you can do to optimize your marketing this exciting time of year. A such, when my good friends at 3Q Digital offered the opportunity to write a guest post on their amazing blog, I was so excited with their suggestion: How To Optimize Non-Holiday Accounts In Q4. I really had fun with this post and share 7 clever tips on how you can fully embrace the holiday theme even in accounts/businesses that do not typically face holiday seasonality. Please head on over to the 3Q Blog and let me know what you think about my guest post. Wishing you an amazing weekend, everyone! I’m a huge fan of PPC landing pages! Landing pages are the “on-page” side of pay per click marketing. In the world of SEO, there have always existed both on-page and off-page strategies. Savvy SEO marketers invest a ton of time, both on-page and off-page. PPC, historically speaking, has been more focused on off-page elements (managing campaigns in Google AdWords and Bing Ads). However, I’m here to challenge the norm! 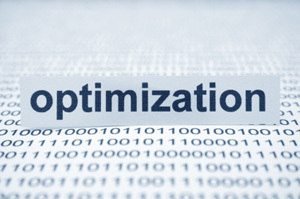 I personally recommend that PPC marketers focus a significant amount of time on on-page optimization (landing page optimization). 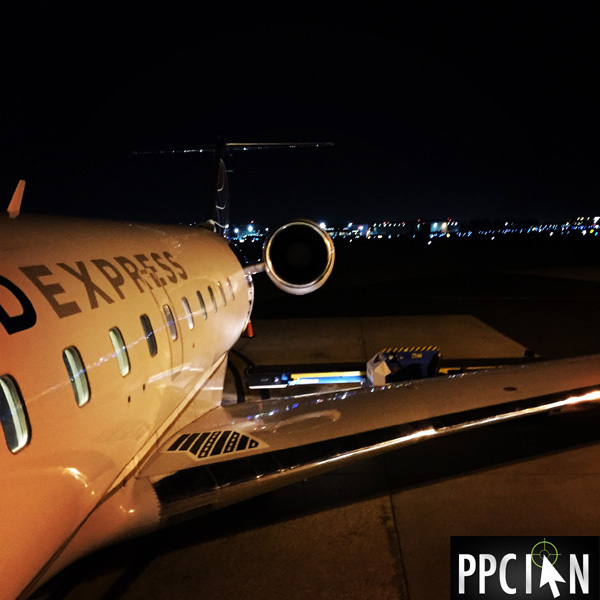 Following are some of my favorite PPC landing page tips. 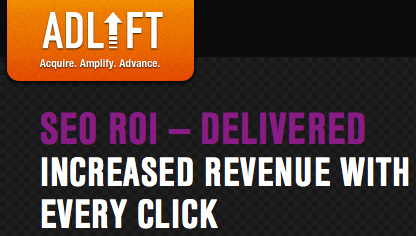 Invest in a landing page platform, such as ion interactive. It’s so much easier to build, test, and manage landing pages with a cutting edge platform like ion. Think about the parallels with SEM bid management platforms and how difficult the bidding process is in Excel versus a cutting edge platform. Same goes for landing pages! An added benefit for agencies: Have your client place a landing page platform on their site. This will give the agency control over both campaigns and customer experience! It’s a huge challenge for agencies to have influence over on-site user experience. Landing page platforms bridge that gap. Stay consistent with your company’s brand guidelines. If brand guidelines don’t exist, develop them yourself by interviewing influential members of your organization. I’m a huge fan of consistency. You want to go big and test big, however you want to also stay very true to your company’s overall brand image. The user experience should never be jarring to the consumer. Even though you manage landing pages and your PM team manages your website, it should all flow the same. Consider dynamic elements on your landing pages. It’s all about personal customization. Maybe have prices/offers relevant to the geography of the visitor. Perhaps you know a bit about the customer from their past browsing behavior on your site and you present a custom offer/package. Maybe it’s as simple as analyzing the search query in real time and offering up a landing page relevant to that specific search query. The opportunities are endless. A well designed SEM account will always have granular, tightly-themed adgroups. Make sure your landing page strategy follows accordingly. Consider going beyond a simple landing page, and create a landing page minisite. 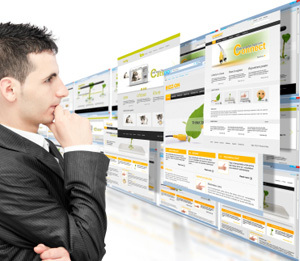 SEM landing pages are focused. It’s all about making it easy for the consumer. Minisites are awesome because they allow you to get all of that additional information in there without distracting the core flow. Landing pages don’t just have to be one page. In addition to minisites (see last tip), consider taking more of the flow under your control. If your site offers an API or another means of deep integration, consider hosting/managing the first few pages of the flow as part of your landing page experience optimization. The deeper you can go in the funnel, the more opportunity you have to test and improve conversion rate. Important tip: Make sure you work closely with your PM team and are on the same page. Building upon the last part of the last tip, share your success stories across your company. Your learnings from PPC landing page optimization have direct impact on other areas of your organization. Offer up your channel as a testing ground. I love digital advertising because you can learn so much so fast. Make sure the landing page part of your program is treated the same, it’s a testing ground for quick learnings across your organization. Don’t forget retargeting. Make sure your retargeting pixels are placed on your PPC landing pages (and across your entire website). I’m particularly a fan of retargeting PPC traffic because PPC tends to be one of the highest converting and most valuable sources of traffic. How are you leveraging landing pages in your digital marketing program?